Does it count as ritual research when you fall down a rabbit hole of YouTube videos made by other ADF groves and priests? 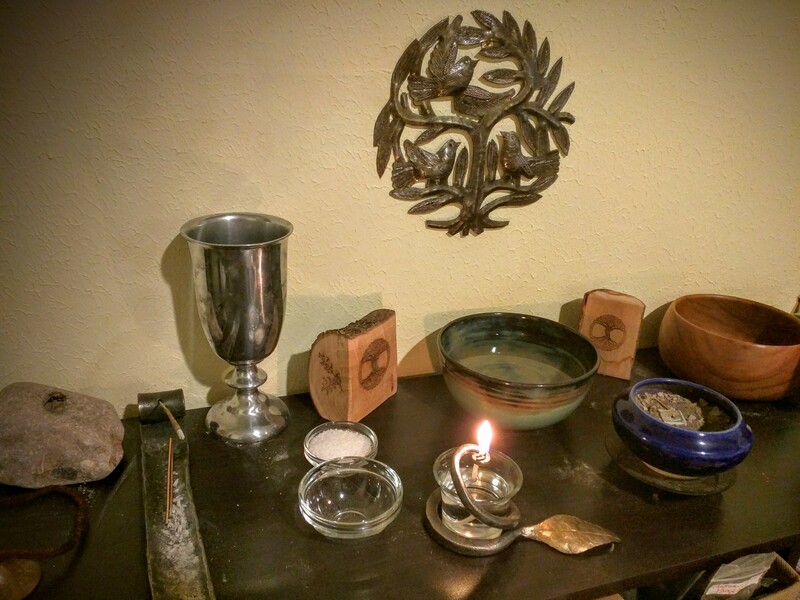 Added the cosmos prayer to my daily moments of calm – not quite a true daily practice, but most days I’m getting to my altar, lighting the lamp and some incense, and speaking at least this little prayer. Planning my monthly retreat for this coming weekend as well, so I’ll hopefully have a ritual script to share next week. May my love be pure. This week was really boring, ritual wise. Did my daily practice 4 weekdays in a row and then left for vacation, where I promptly forgot all about anything to do with daily practices in the flurry of seeing my friends. This is an annual trip to Seattle that I make with 40 friends from my gaming group, and it’s a TON of stuff crammed into three days, so I’m lucky to get any sleep, let alone free time to do daily practice. I did, however, make time to say hello to the amazing trees that I encountered. Old growth forest just isn’t something you run into in Texas, so the huge conifers were fun and new. I love being around them whenever I visit. I waved hello at Mt.s Raineir, St. Helens, and Hood on my flight as well. Also, I got to see otters! Normally I’d feel bad for taking a “break” from my Druidry, but to be honest, it was a refreshing change of pace to just let it be something I “am” rather than something I “do”, even if just for a weekend. We’ll see if I can get back into the swing of regular practice next week.